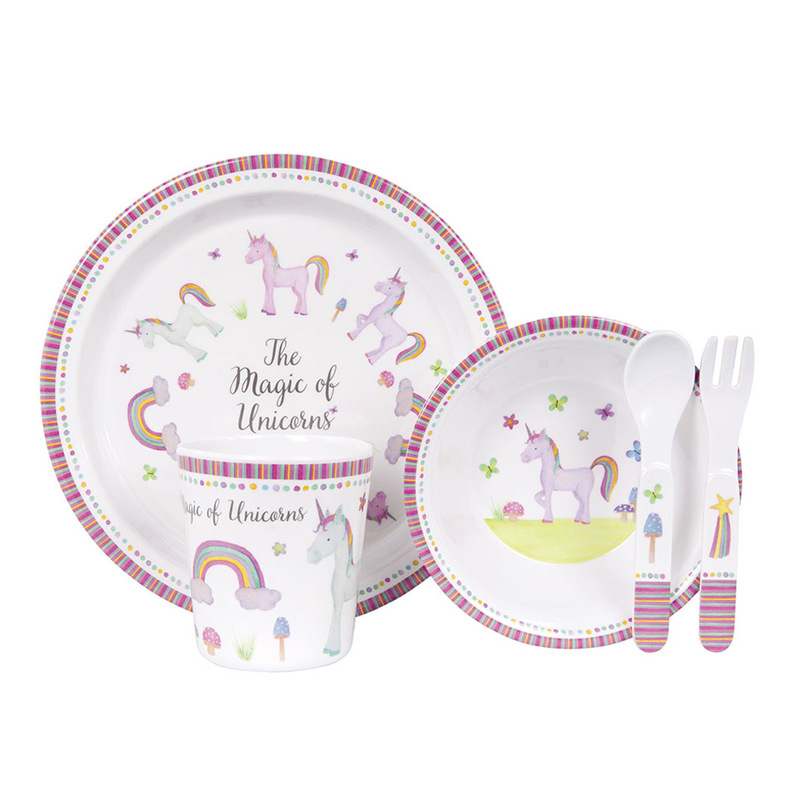 Ashdene’s Unicorn Magic Kids Dinner Set is here to add a touch of whimsy to mealtime. Adorned with vibrant and colourful illustrations of majestic unicorns and rainbows, each piece in this set is crafted from durable melamine that won’t shatter if dropped. With a plate, bowl, tumbler and more inside, this adorable set is perfect for the magical princess in your life. Durable construction won’t shatter if dropped. Adorned with magical imagery of unicorns and rainbows.